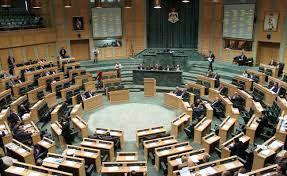 AMMONNEWS - The Lower House of Parliament on Tuesday passed the amended 2018 Public Administration draft law in a session, chaired by Speaker Atef Tarawneh. The bill allows Cabinet members, in special and justified cases, to delegate some of their duties to secretaries general, heads of official and public institutions or senior officials of government departments. The draft law also permits the Secretary-General or a person of similar rank to delegate any of their duties to a senior official of government departments provided that a minister approves the delegation in writing and it will be considered valid after it is published in the official gazette. The law redefines a "department" to include any ministry, entity, council, authority, official and public institution, from its previous definition of "any department or government authority or official institution." The legislation is aimed to expand the jurisdiction of laws to include executive administration, speed up procedures and curb bureaucracy in the government through delegation of duties. The Cabinet passed the first article of the 2018 amendments to the Audit Bureau law before the Chairman adjourned the session to reconvene next Sunday.